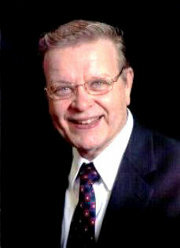 USA (MNN) — Bill Bray has been re-elected president of Overseas Students Mission (OSM). He resumed leadership of OSM and will become part of the full-time missionary staff in January. Bray first became involved in the work of OSM in 1991 and was previously elected president in March of 2008. OSM is one of three missions service organizations founded by Dr. Bob Finley, OSM board chairman. The other two organizations are Christian Aid Mission and International Students, Inc.
all unevangelized areas around the world. Before returning to OSM, Bray served as development director and special projects coordinator at Christian Aid Mission. "For decades, the Lord has been preparing him for this assignment," Dr. Finley says. "He is uniquely qualified to recruit, disciple, and send forth God's chosen vessels." During the remainder of 2012, Bray will be transitioning to his role at OSM and also focusing on his next book, "Called to All: A Love Supreme." The book calls for a cross-generational approach to reach all nations before Christ returns. Bray is excited about his new book. "I look forward to helping play a role in igniting the next generation of indigenous mission leadership…. I want to maximize whatever time I have left to challenge and mentor young adults through writing the Lord's vision through OSM."